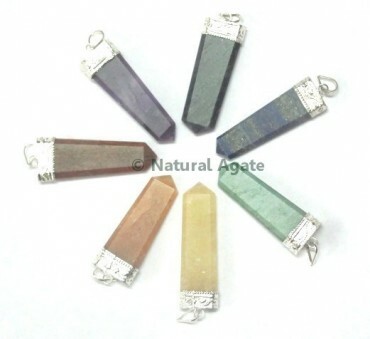 Mix Stone Flat Pencil Pendants by Natural Agate is a beautiful collection of different gemstones pendants. Pendant length is 25-45mm. you can wear these pendants anytime on any attire. They will look classy and stylish.